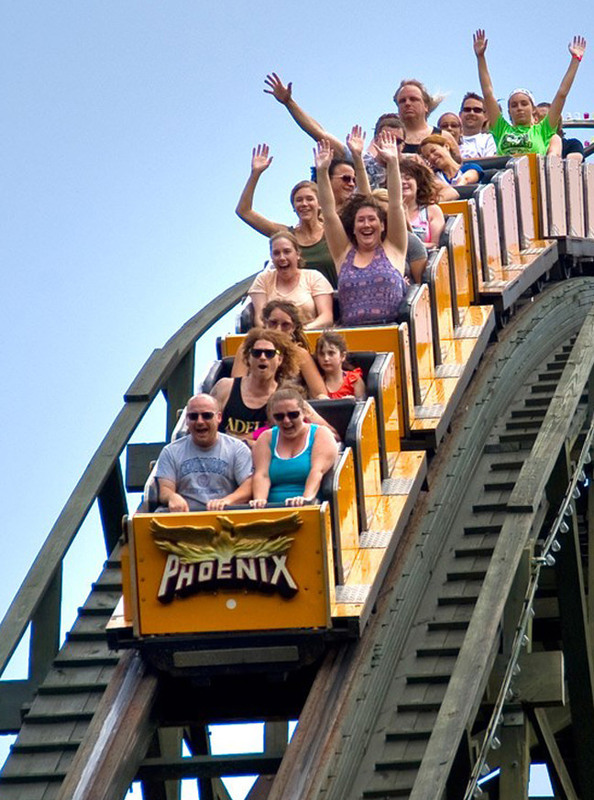 Knoebels Amusement Resort is a family owned and operated theme park in the beautiful forested hills of Elysburg, Pennsylvania, just off Interstate 80 about 2.5 hours northwest of Philadelphia. There is no admission fee – guests buy tickets for the rides. Guests with disabilities can receive a Courtesy Pass at the first aid station, which will allow the individual and up to 3 companions to bypass all lines and enter the rides through the exit gate. Wheelchairs, wagons and electric convenience vehicles are available for rent at the Rent-All building off of the park’s main boulevard near the parking lot. All rentals require that you leave a valid driver’s license at our desk, which will be returned to you upon return of your rental.